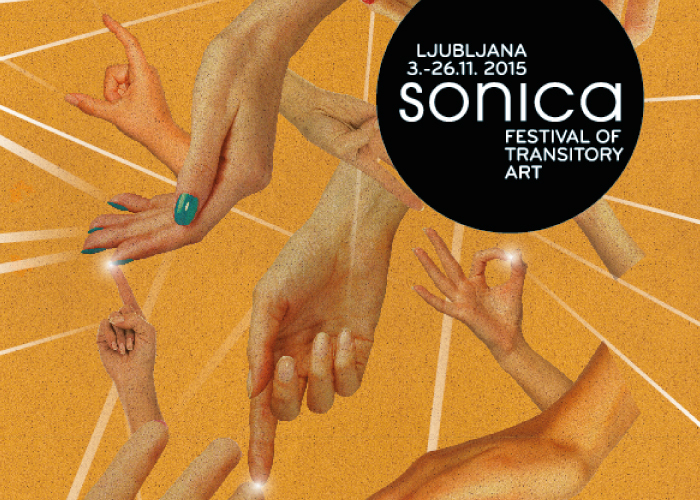 This year’s SONICA festival, in the search of transitory embodiment of diverse media of artistic performances, follows the lines of opening, linking and division. The uncaptured nature of sound as the main point of transitoriness is set to embody not only through the artist’s media, but through experience, knowledge and expertise as well. We would like to share this aim with the public and weave the linkages of transmission, not only in different forms of artistic events, but also expanding to workshops, artist talks and talks between artists, creating a polygon which echoes beyond the sole confrontation of the artistic piece or performance. The concert program is broadened with eight free admission workshops which are all related to sound and music in someway. This years’ SONICA exhibition will be totally dedicated to the work of the bassist and electronic musician known as KETEV and sound artist Yair Elazar Glotman who will dissect the double bass into a multi-layered sound installation, performance and composition, relating physical materiality to the astonishing deep sound frequencies. SONICA is bringing four diverse concert events: the opening gourmand sound-menu with Rashad Becker and audio-visual spectacle oqpo_oooo by Alex Augier with the sustenance of local Ontervjabbit; cinematic travel through light and colours at the Kino-Uho evening event in Kinoteka with Robert Curgenven and Wolfgang Spahn; a visit to the concert underground with Jerusalem In My Heart, substantiated with three local masters of electronics from the Ctrl N compilation: A Chapter in Slovene Electronics; and finally a dance event with one of the most exploding stars of the dark techno and drum mash-up – New Zealand’s FIS. You are welcome to attend all four concerts with a single festival ticket. At the end of the festival, there will be a second anniversary celebration for MoTA Point! It is connected with the closure of Biennial of Independent Illustration. The evening will start at MoTA Point with a secret program and at 10 PM, will move to the nearby Argentinski Park where we will be introduced to the dark portrait of love from duo LEALUDVIK.